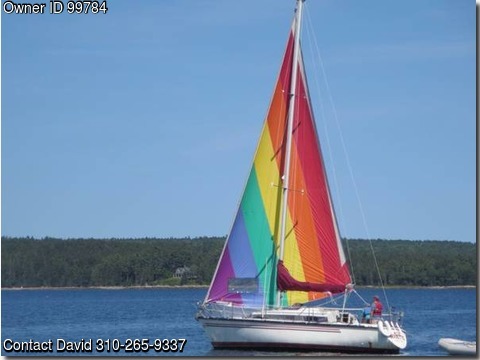 Boat is located in Little Deer Isle,Maine.Please contact the owner @ 310-265-9337 or dljacquette@gmail.com…1982 Dufour 31 sloop, model 3800 volvo MD-7b diesel, roller furling jib/genoa, Garmin 498 GPS navigation with Maine charts, three headsails, two mains, all sails are older but in good working condition; engine runs well, starts easily, but I have no estimate of hours. Galley has pumped fresh water from water tank, bath also a pumped fresh water, head has overboard option and a holding tank, sleeps potentially 7, but comfortably four. This sailboat spends summers in the water in Penobscot Bay; Eggemoggin Reach and winters inside a boat barn.